Once again, we begin to look back at 2018 and try to determine what trends will help shape another year. Inevitably 2019 will consist of both challenges and opportunities in equal measure. But, what have we learned over the last 12 months and how are we progressing forward as a global community? There is an increasing awareness that we need to protect the security and privacy of almost every aspect of our lives. Although many suspected that their digital footprint would come back to haunt them in a few years, it appears that some were blindsided by tech behemoths that would use their information to manipulate their opinions and worldview. However, 2018 felt like the year that we began to step out of our echo chambers and question everything we read and began looking for the original source material. Welcome to a new customer-centric digital age where experiences are the new currency. The penny also finally dropped that only a diverse workforce can genuinely understand the requirements of a diverse customer base. It is now widely accepted that for any brand to deliver a customer experience; they need to ensure that any product or service fits the unique requirements of an increasingly diverse audience. But, this requires an environment that replaces the loudest voice in the meeting room with diversity of thought. How are these trends affecting the creative industry and the media they use to promote their content? According to the Storyblocks 2019 Creative Trends Guide that analyzed 85 million searches, we can expect the diversity theme to continue into 2019 for all the right reasons. Many are consuming their daily news and current events from purely digital outlets. But in a world where we have all become content creators and news curators, the feedback loop between mainstream media, pop culture and stock media has gone from weeks or months to almost instantaneously. There is also a belief that bias in traditional media is driving distrust in our communities. As a result, many creatives are leveraging technology to report the news themselves. 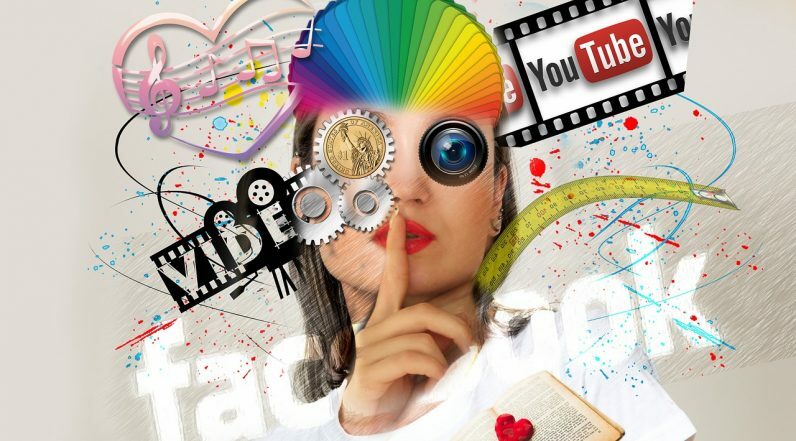 A growing number of empowered digital creatives are attempting to provide a counter-measure to the “fake news” claims that have dominated social feeds. Whether it’s your favorite YouTube channel or podcast, audiences are flocking to non-traditional sources for breaking news. Like traditional broadcasts, the creative trends reports suggest we are seeing the emergence of digital news-breakers who are turning to stock media to shorten production cycles while giving their programming a cable-ready feel. One of the most significant megatrends dominating the creative landscape is the evolution and consolidation of the creative workflow. Time-saving tools and new content types are just a couple of ways storytellers are looking for support after a considerable uptick in shorter-form projects. With resources shifting toward bite-sized content, it places an even greater emphasis on affordability and efficiency. Predictably, there has been a spike in demand for templates, which also serve as pre-packaged, customizable mini-productions. Searches for After Effects Templates have also spiked more than 150% year over year, with other forms of templates also showing meaningful growth. These trends are also highlighted by the increase in searches for “news intro,” (+146%) “news background,” (+216%) and “virtual studio” (+69%) all showed massive year over year increases across the Storyblocks platform. Remember when younger viewers replaced the contrived reality tv storylines and fakery of traditional TV with relatable YouTube stars? This was just the beginning. The cable wars and “fake news” movement have paved the way for content creators who are hungry for material that better represents the world they identify with – one that is diverse and inclusive. Authenticity and inclusivity are being driven in part as a rebuttal to the current political climate of fear and hate. For example searches for “African” are up 176%, “elderly” are up 121%, “Islamic” are up 185%, and “Asian” are up 49%. These trends are playing out everywhere from stock media to big-budget movies such as Black Panther and Crazy Rich Asians. The rise in inclusive creative searches is mirrored across video, audio, and imagery suggesting they are still picking up momentum as we head towards 2019. However, when you put it all together, these trends highlight how creatives that are surrounded by doom and gloom are attempting to build a brave new world that promotes truth, inclusivity, and diversity. If traditional media outlets tried to ride the wave of positive change and move away from spreading fear and lies, maybe we will continue to see more positive change and progress in 2019. You may say I’m a dreamer, but the search results of 85 million people suggest that I’m not the only one.